If perfect beaches and year-round fishing sound ideal, you’ll want to push Grand Isle, Louisiana to the top of your wish list. With plenty of beach houses, camps, and lots to choose from, you’re sure to discover the perfect place to call home, whatever your needs! Yahoo! 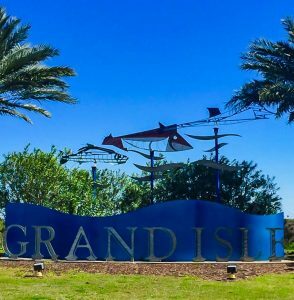 has named Grand Isle as one of the top island getaways. Fishermen and vacationers flock to the area every year for relaxation, family-friendly events, and exciting entertainment like the various fishing rodeos and the Migratory Bird Celebration. The team at Coastal Realty Group is not only experienced, they take great pleasure in serving our clients. We’re available 24/7/365, and we will do our best to ensure you find the vacation home or camp that will best suit your needs. Where other services and agents may begin to wane in the process or even stop, we keep pushing until you get the best results possible. Ready to find the beach home or camp for you? 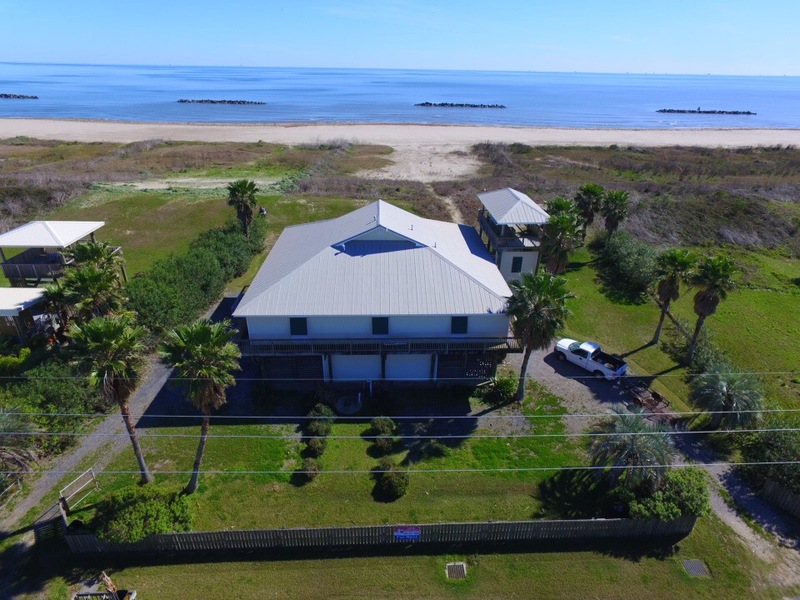 Call the Coastal Realty Group team today at 985-787-3200, or visit the Grand Isle for sale page on our website to begin the search for the perfect place to call home. 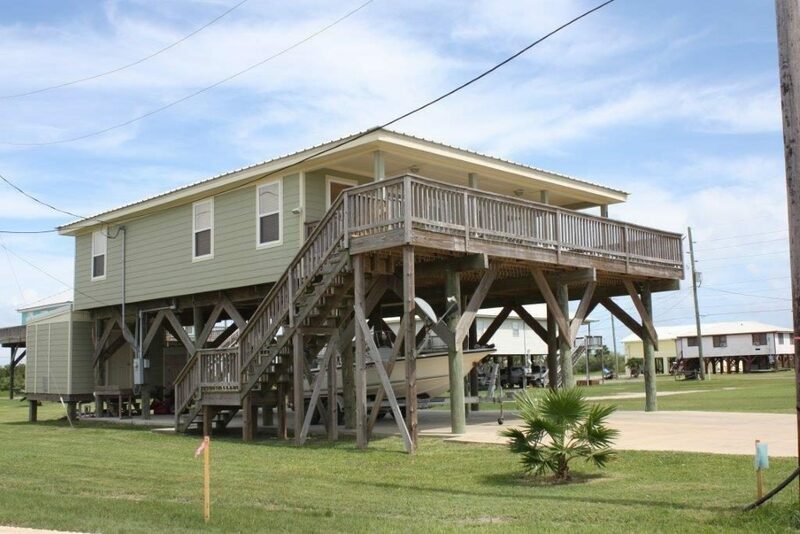 Want to keep up-to-date with the latest Grand Isle camps and homes for sale? 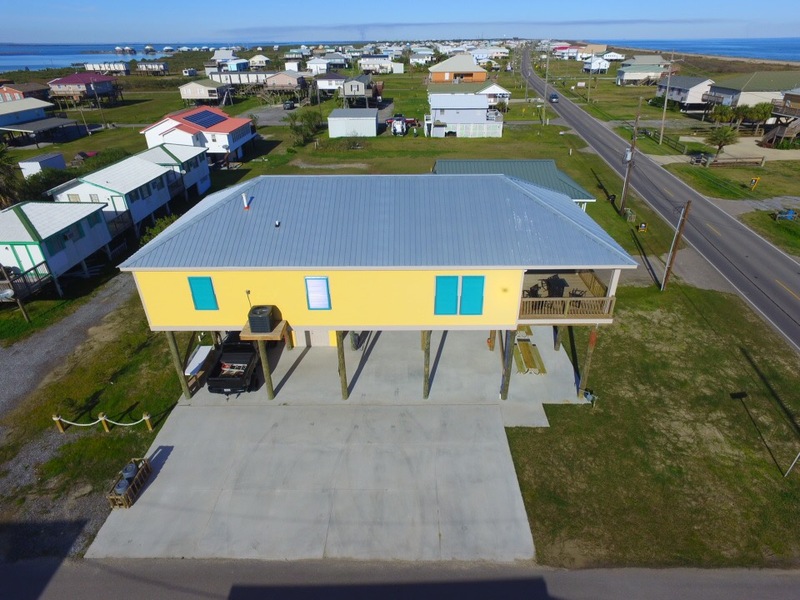 Connect with Coastal Realty Group on our Facebook account to stay in the loop for the latest in Grand Isle sales and rentals. Be among the first to find out about specials, open houses, and more. With the holidays winding down, the new year is upon us. 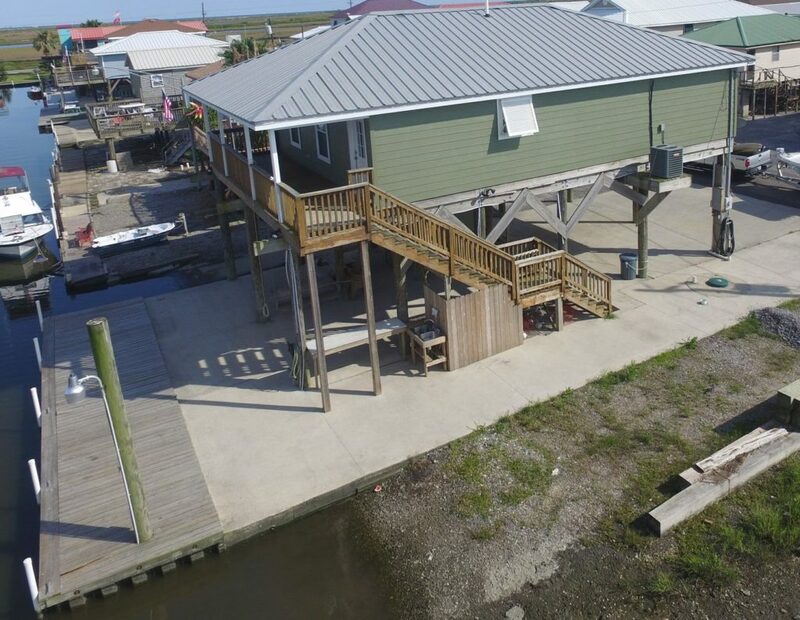 While summer may seem like a long way away, it can actually be a good time to start preparing for your next stay in Grand Isle, Louisiana. Ever find the perfect rental property, only to be dismayed to find out it’s not available when you need it? Jump ahead of the line and start your search now. 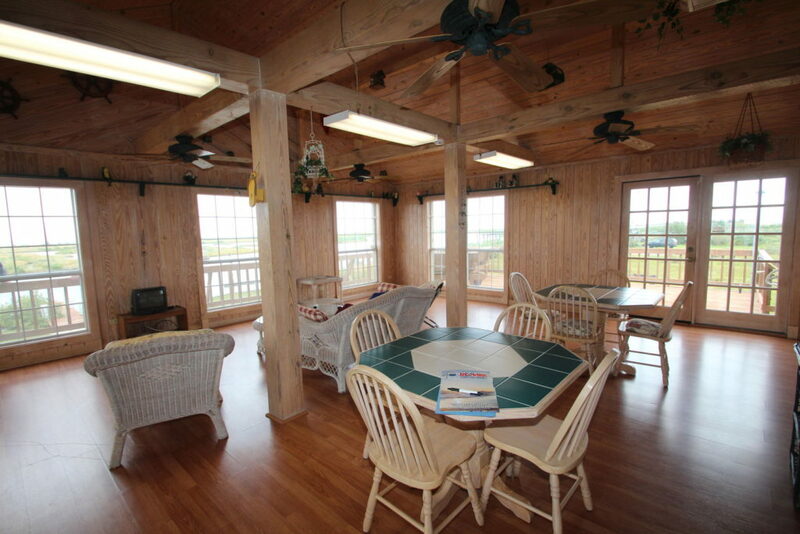 Get the perfect Grand Isle rental camp that will suit your needs, at the optimal time of the year. Go to www.grandislerentalcamps.com to see the rental properties available. The website’s easy-to-use search features allow you to narrow your search down to the perfect rental camp for your exact needs. From two bedroom to six, from beach front to waterfront, you can personalize things and really search the properties that are most applicable to you. Plus, many properties have multiple reviews from vacationers just like you, so you can see how much they’ve enjoyed the rental properties and the amenities. Like to fish? Well, you’ve come to the right place. 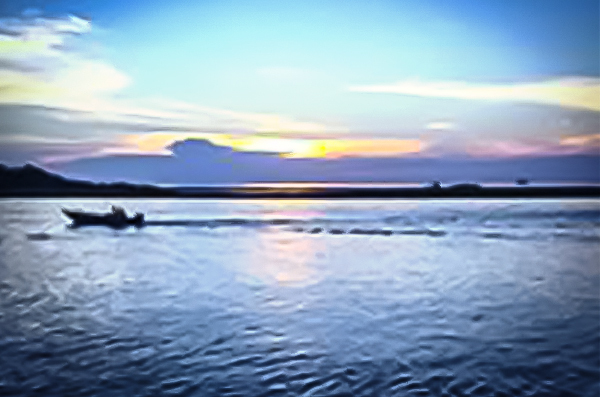 Grand Isle, LA is known as one of the premier fishing spots. Over 280 species of fish await you in the waters around Grand Isle. 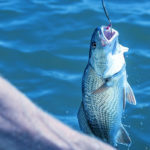 There are numerous family-friendly events such as the various fishing rodeos (including the venerable Grand Isle Tarpon Rodeo) that attract fishing enthusiasts of all skill levels. Prefer to fish solo or in small groups? No problem. Fish from the piers, get insider tips from friendly locals, and get a guided tour with one of the many fishing charters servicing the locale. Need assistance planning for your Grand Isle vacation? Ready to hit the fabulous beaches of Grand Isle? Give us a call today at 985-787-3200. 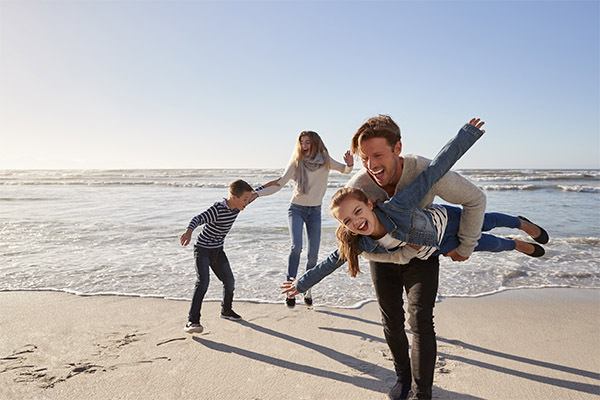 “We’d love to help you find the perfect rental camp for your next summer vacation,” said David Kedzierski, Coastal Realty Group owner and rental agent. 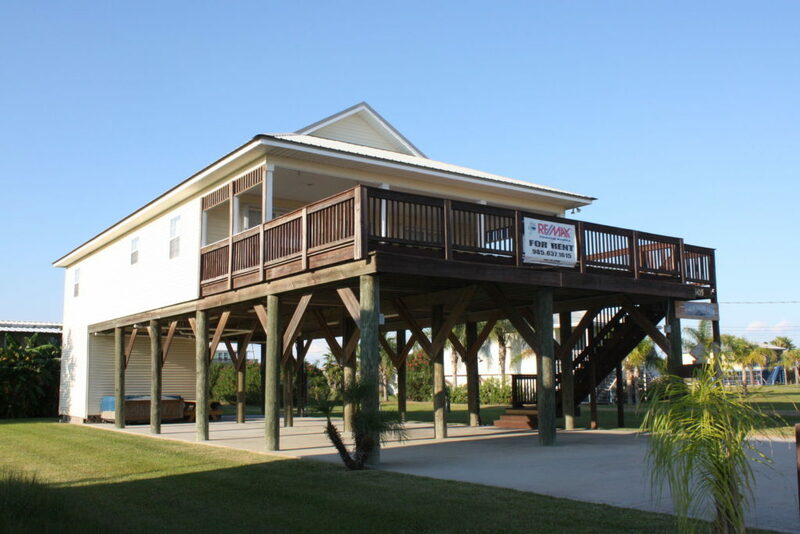 “We’re a highly responsive team that works very hard to make sure you have a wonderful time on the beach and waters of Grand Isle. “We’re available 24 hours a day to assist with your planning. Give us call, we’re ready to help! 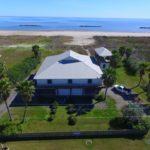 Looking for Grand Isle lots or beach homes for sale? 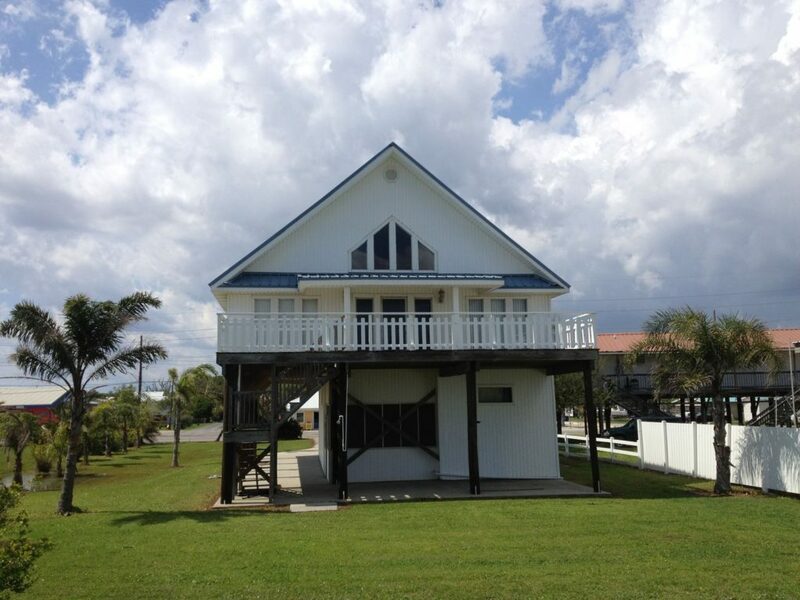 Check out our our Grand Isle for sale page. 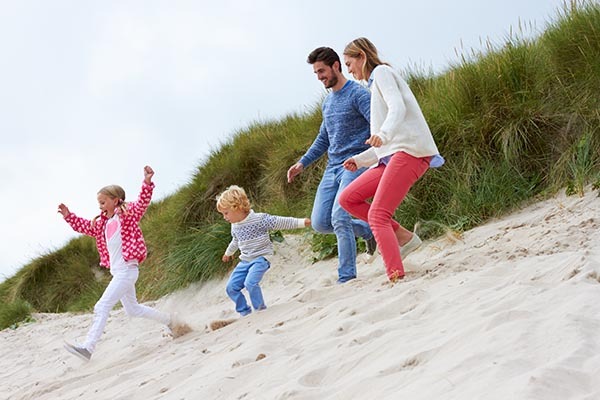 To many, the optimal time to go to the beach is during the summer months. For those who enjoy less crowded beaches and temperatures that won’t scorch you, the winter may be a great option for your beach vacation. With its beautiful beaches, Grand Isle, Louisiana is a great place to head to when the cold just gets too unbearable and you need to get away for a bit. The weather at Grand Isle during winter months remain suitable enough for enjoying the beaches and sunbathing. And, with less crowds, you’ll have more space in which to relax. Ready for some spectacular winter fishing? Grand Isle is also known as one of the top fishing spots around. 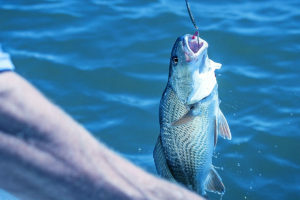 There are over 280 fish species are to be found in the waters around Louisiana’s largest sport fishing resort town. The winter is actually a great time to fish at Grand Isle… especially for those who don’t like waiting in lines and contending with large crowds of both tourists and fishermen. The fish tend to feed closer to the surface, as the water isn’t so hot at the top like it is during the warmer months. You will most likely get more 1-on-1 attention with the numerous fishing charters, guides, and marinas in the area. And don’t be afraid to ask the local anglers for some insider advice. When it comes to lodging, there are plenty of options available. Coastal Realty Group can help you find the perfect waterfront property with boat access that will make your winter fishing even more enjoyable and convenient. 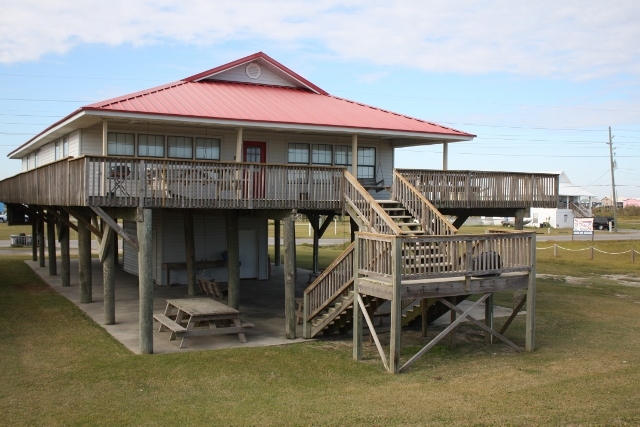 We love Grand Isle, and believe it’s one of the best winter retreats available. But don’t just take our word for it. Yahoo! named Grand Isle one of the top 10 winter beach retreats in America. They report average highs in December and January as 67 and 63 degrees respectively. Thinking about visiting Grand Isle, Louisiana during the winter? 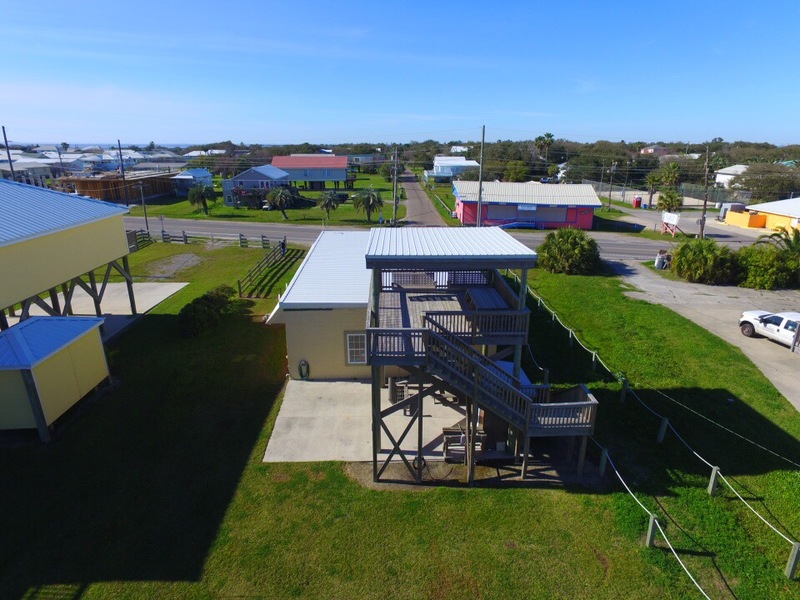 Need assistance finding the perfect Grand Isle rental camp? Want to know what events to expect during the winter months? Why not give Coastal Realty Group a call today at 985-787-3200. 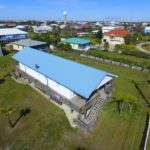 “We’d love to help you find the perfect rental camp for your winter beach or fishing vacation,” said David Kedzierski, Coastal Realty Group’s owner and rental agent. 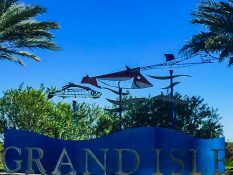 “We’re an experienced team that works hard to make sure you’re all set for a great experience at Grand Isle. 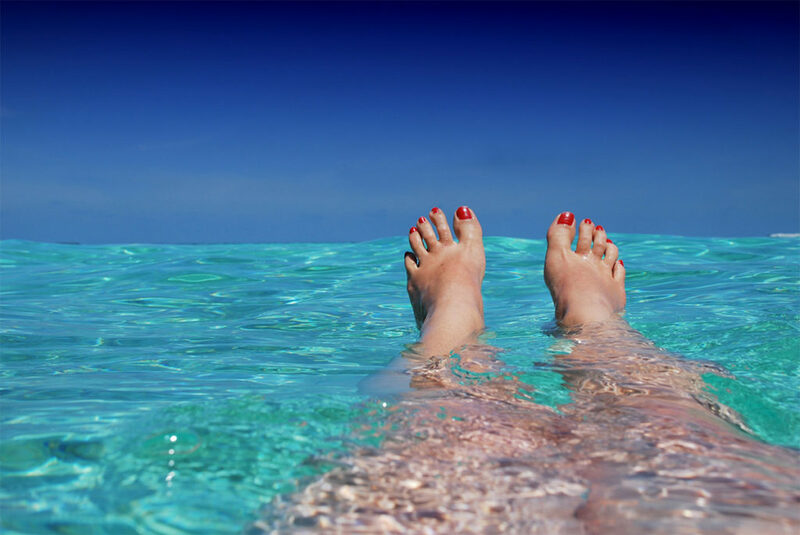 Explore our website and be sure to check out our blog posts for vacation tips. Why fall beach vacations rock! Think summer is the ONLY time to visit the beach? Don’t feel left out if you couldn’t make it out this past summer. 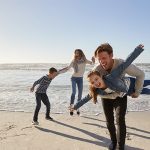 Fall beach vacations can be a great option for many reasons. Read on to see why you might even consider fall-time to be the optimal time for your next beach outing. The summer is the peak time for the beach, and consequently, you’ll have to share the beach and attractions with throngs of other vacationers. During the fall, you’ll have less competition for beach space and restaurant seating. You’ll usually find lower rates for rentals in the fall than in the summer, so you’ll be able to use the extra funds for more souvenirs or fancier restaurants, or you can simply pocket the savings for next time. Related to the last reason, the fishing charter rates might also be cheaper in the fall. Also, with potentially less clients, they might be able to provide even more 1-on-1 attention. Check with the local charters for more details. There are some events that only happen during the fall months, so check the local calendars to see what interesting things can be seen or done during those times. Are you planning on visiting Grand Isle, Louisiana? Need assistance finding the perfect rental camp? Want to know what events are going on in the fall? 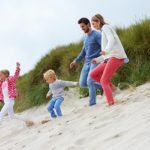 “We’d love to help you find the optimal rental camp for your fall beach vacation,” said David Kedzierski, Coastal Realty Group’s owner and rental agent. Think you need to be at home to enjoy Halloween? Think again! 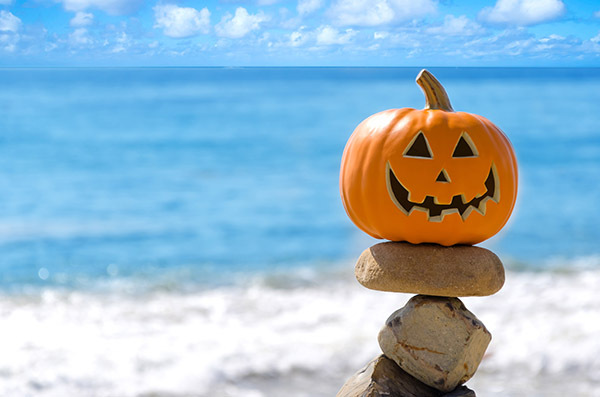 You can certainly have a great time at the beach while still getting in the spirit (yes, pun intended) of All Hallow’s Eve. 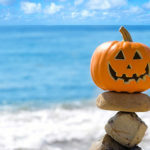 The following are 5 ways you can jazz up that pumpkin to celebrate the spookiest time of the year at the beach. Give your pumpkins a beachy vibe by painting them white, brown, and/or blue. Decorate with sand dollars and assorted shells. Instead of a face, try carving shapes befitting the setting. Some ideas are a boat, an anchor, a palm tree, a starfish, a seahorse, a fish, stylized waves, shells, etc. You’re only limited by your imagination… and your carving skills. Instead of making a jack-o’-lantern, fashion a drink cooler out of your pumpkin. Fill with ice and keep your favorite drinks nice and cool. Forego the pumpkin and use a pineapple instead. Imagine a menacing jack-o’-lantern’s face carved on tropical fruit. Your family and friends will get a kick out of that. Of course, you can get creative with what’s already all around you at the beach. Craft some spook-tastic jack-o’-lanterns in the sand. Are you planning to visit Grand Isle, Louisiana during Halloween? Need help finding the perfect rental camp? Give Coastal Realty Group a call today at 985-787-3200. 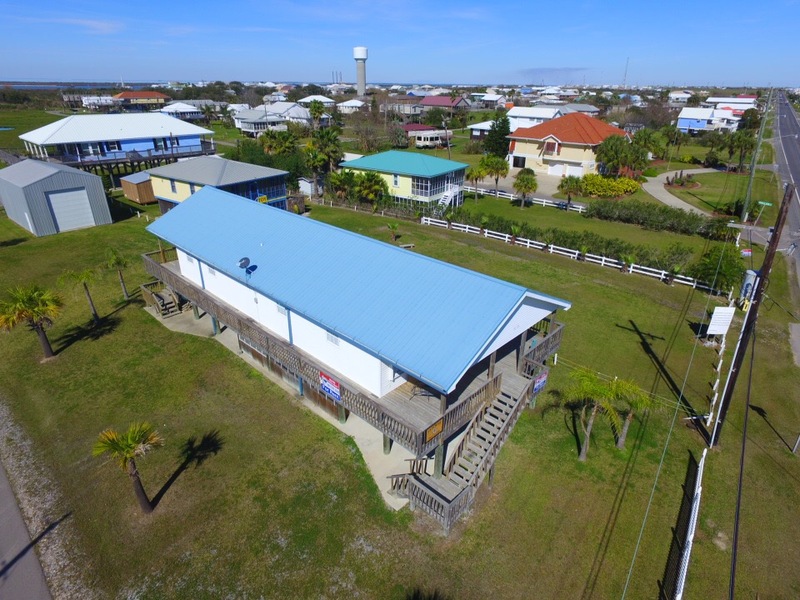 “We’re a very experienced and highly responsive team that works hard to ensure you find the perfect rental and have an unforgettable experience at Grand Isle,” said David Kedzierski, owner and rental agent at Coastal Realty Group. 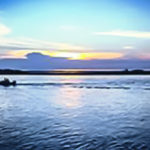 Grand Isle, LA is one of the best places for beach fun and fishing excitement! Coastal Realty Group is here to assist you in finding the rental camp that best fits your needs. Camp Shawnuff South is a beautiful upper end camp this is one of my favorite on the island. We have been renting camps each year for over 20 years in Grand Isle and this is on the top of my list to rent again. It offers private access to the beach, 4 bedrooms each with a full size bed plus bunkbeds in two of them, 4 bathrooms, large kitchen with two refrigerators, 2 living areas, and large dining area. Beautiful decor with many personal touches. Makes you feel like you are at home. Tarpon Lounger was great! Great location. The beach was awesome as was the outdoor area. The inside was spacious and clean. It was the perfect location for our family get together. I would definitely stay here again. Ready for the ultimate beach or fishing vacation? The responsive staff at Coastal Realty Group is here to help! View more information on the rentals reviewed above or give us a call at 985-787-3200 and we’ll be happy to assist you in your search. Ready to get on the beach for some well-deserved relaxation and fun? 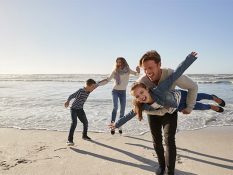 Here are some easy tips to follow to ensure you stay safe while you’re enjoying yourself at the beautiful beaches at Grand Isle, LA. Everyone likes to be out in the sun. However, don’t overdo it. Remember to use sunscreen, and reapply as directed by the sunscreen. Find some shade if you’re feeling uneasy after extended exposure to the sun and heat. Being out in the heat can lead to dehydration. Be sure to drink plenty of fluids. The more water the better. Plan beforehand and have an appropriate number of drinks ready. Avoid swimming alone, especially if you want to venture outward a bit. If kids are present, be sure there’s always adult supervision. Don’t leave your sunglasses behind. Wear shades to protect your eyes from the sun and glare. Alcohol can dehydrate you, as well as impair your judgment. Avoid alcohol or keep to a reasonable amount. Interested in more beach safety tips? 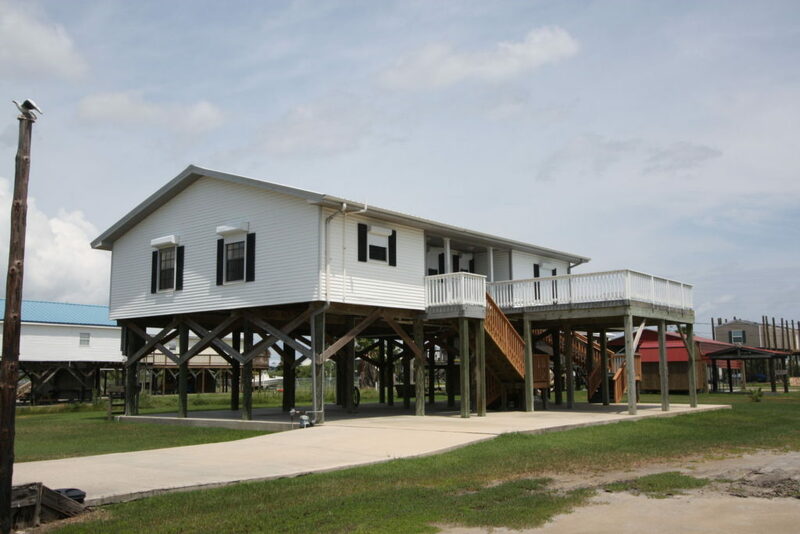 Need some help finding the perfect property for your Grand Isle vacation? Contact the enthusiastic and responsive team at Coastal Realty Group! We’re here to make your stay simply unforgettable. Call us today at 985-787-3200. Check our blog for more helpful information, or start your search for the ideal vacation rental. The International Grand Isle Tarpon Rodeo, the oldest fishing tournament in the United States, is coming! Thursday, July 27 (6am) to Saturday July, 29 (10pm). The yearly bonanza is filled with local entertainment, crafts, food… and of course, plenty of fishing excitement! Pre-register now if you can. Prices will be higher during the event. The registration deadline is July 16th. You can visit the International Grand Isle Tarpon Rodeo website at: http://tarponrodeo.org. Go to the registration page to download the mail-in registration form and the official rodeo rules. The website mentions you can visit one of the authorized registration outlets for information on registration. “We at Coastal Realty Group look forward to the annual Grand Isle Rodeo,” said David Kedzierski, owner and rental agent. “It brings in fishing enthusiasts and fans from all over. It really is a grand event. “If you’re looking for a rental property for that weekend, we’d love to assist! Our experienced and highly responsive staff loves nothing more than to help our guests find the perfect property. Whether you want beach front, boat access, 2-bedroom all the way to 6-bedroom, we have you covered. Call us today at 985-787-3200 or email us at Coastalrentals.gi@gmail.com.